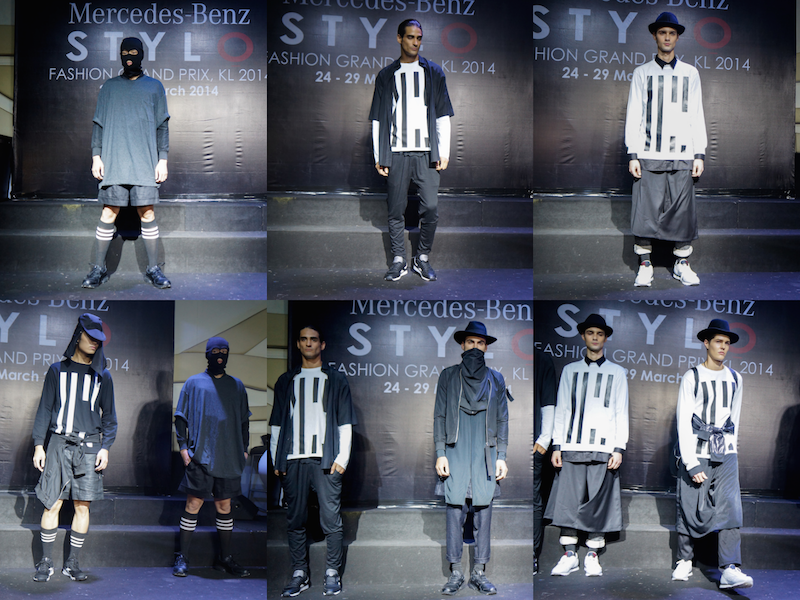 Mercedes-Benz STYLO Fashion Grand Prix has returned, kicking off its first day of fashion events @ Poppy Garden on Monday with 'A Stylish slumber Featuring Men and...more Men'. I showed up with my usual monotone outfit and felt so regretted the moment I arrived to the event as most of the guests did put effort dressing up with their pyjamas. I was impressed some of them even brought their teddies and sleeping robe. 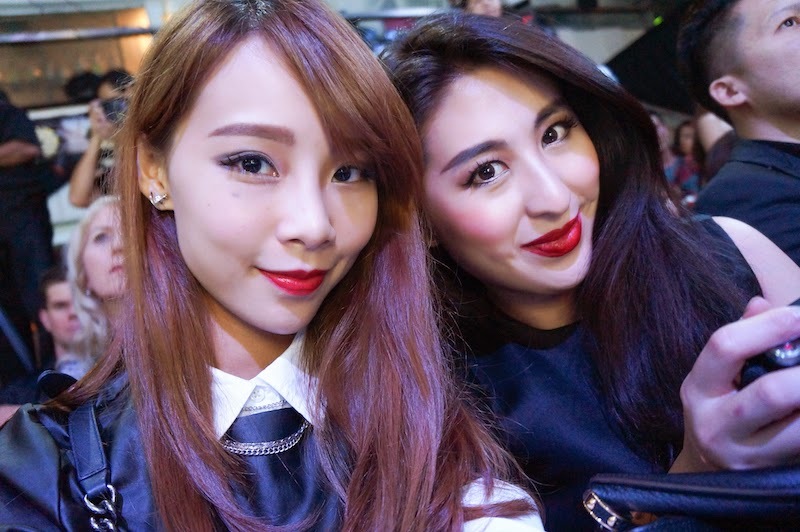 While the organizer taking its sweet little time, Jas and I kept ourselves busy by taking lots and lots of selfies. After almost 2 hours, the show finally started showcasing men collections of Joe Chia, Dato Tom Abang Saufi, Kinslager and Quarter Homme. Something new for Joe Chia collection. Sport spirit with its usual minimalistic and layering designs for his new line, JoeChia02. 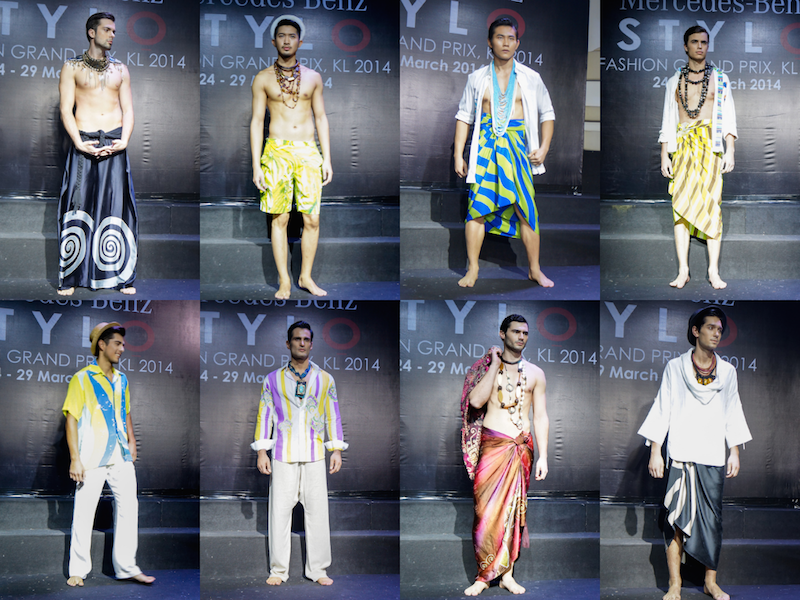 Dato Tom Abang Saufi collection is very much designed for tropical countries. Comfortable and wearable. 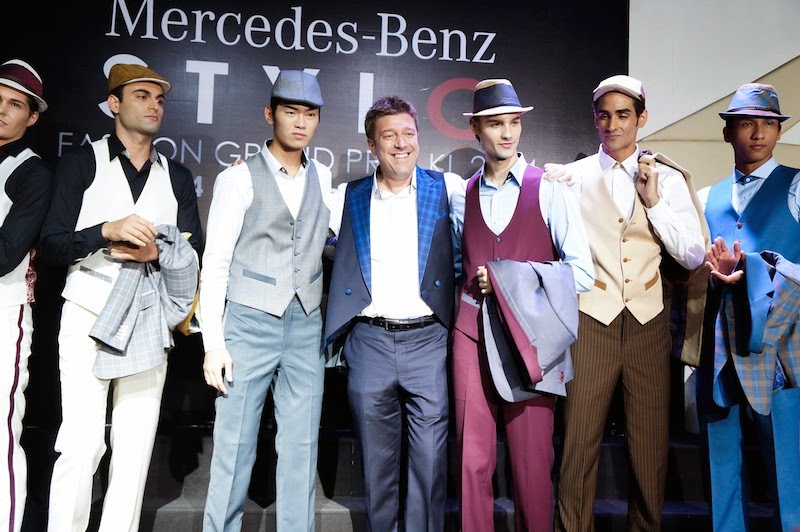 From an economist to now a fashion designer, Kinsleger debut high fashion menswear collection features designs like F1 winning flag and M-Benz F1 driver Lewis Hamilton. The highlight of the show, thanks to Quarter Homme. I bet all the women have their eyes wide-opened when the model walked passing them in their tight undies. 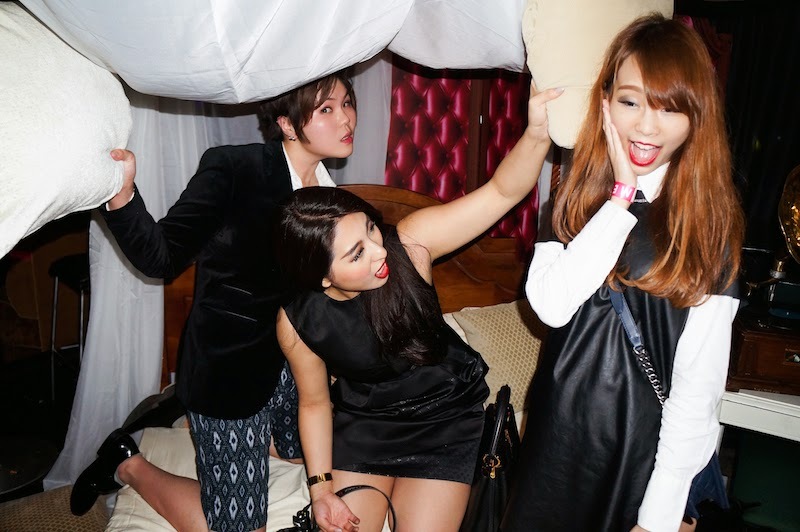 It was truly a pleasure watching models pillow fighting on the stage *blush*, therefore we decided to have one at the after party with Zen and Arron. 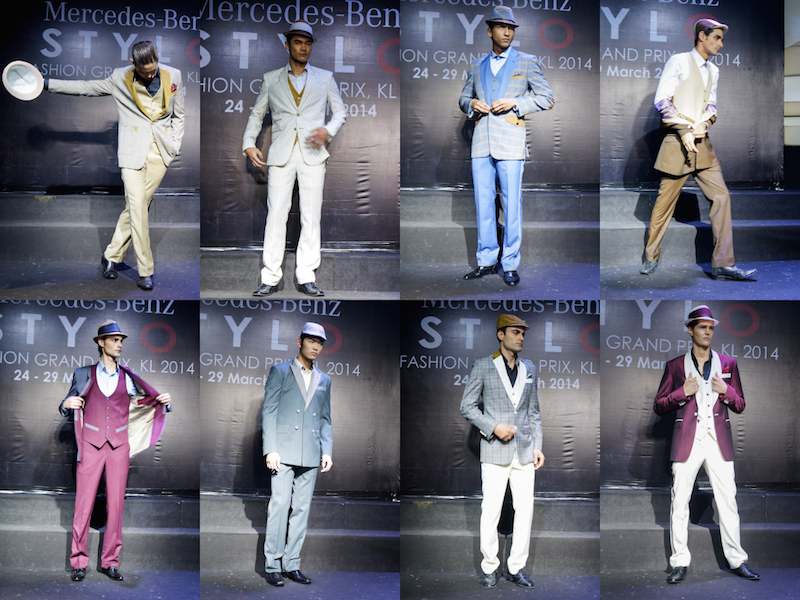 Did I mention this little Leo brother (Arron) was doing styling for Abang Saufi collection? Because Abang Saufi wasn't there for the show therefore they couldn't get a stylist standby, and Arron managed to pull together all the looks in an hour. Good job brother, a round of applause!!! Here are the detail shoots of my lack-of-effort outfit yet still-appropriate for event purpose to replace the sleepwear dresscode. Wont be around for 2 weeks, but I will try my best to keep my blog updated.